I promise you will not be disappointed!!! I love your blog design - How did you do it?? I also think your card is completely worthy of getting you a spot on the team!!!! I too love your blog design, so stinkin' cute! Your card is FABULOUS, How cool your combined a couple TSB images! TFS and good luck in the DT call! Love your Blog Design.. and your Card is fab.. Hope you get the spot. Great job on the card, Kelly!! Good luck to you!! 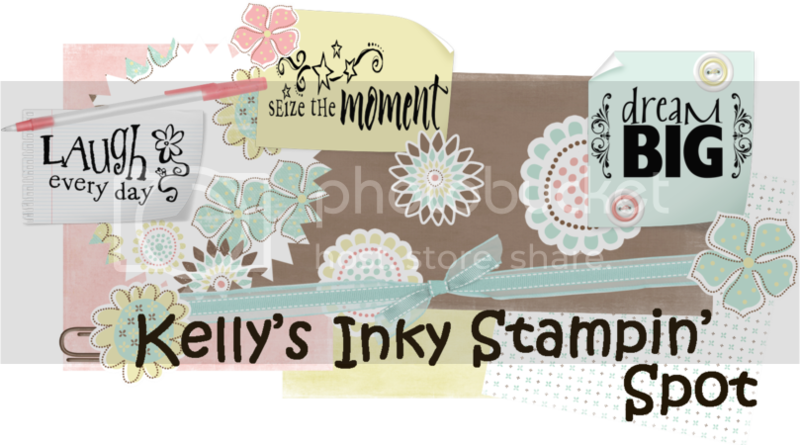 Please check The Stamping Boutique Challenge blog for some exciting news! Looks like a winner to me! Very cute.